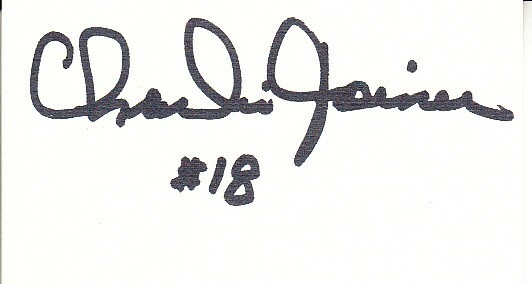 Blank back of a beige business card autographed in black Sharpie by San Diego Chargers Hall of Fame receiver Charlie Joiner. Obtained in person, with certificate of authenticity from AutographsForSale.com. ONLY ONE AVAILABLE FOR SALE.